Part of the bumper Broadway crop of 2004, Dirty Rotten Scoundrels rode the wave of new musical comedies that followed megasmash The Producers. Along with other movie comedies turned musicals, such as Thoroughly Modern Millie, Hairspray, Spamalot and Legally Blonde, Scoundrels helped post-9/11 audiences laugh away the previous decade of sturm und drang found in musical dramas such as Les Misérables, Phantom of the Opera and Titanic. Like The Producers’ Leo and Max, Scoundrels eschews the traditional boy meets girl romance to focus on a rollicking bromance. Suave, successful scoundrel Lawrence Jameson (Tony Sheldon) has his ordered world upended by uncouth, small time scoundrel Freddy Benson (Matt Hetherington). Lawrence is supported by chief of police Andre Thibault (John Wood), who later takes over the romancing of needy divorcee Muriel Eubanks (Anne Wood). After proving his value in the dispatch of gaudy, marriage-happy Oklahoma millionaire Jolene Oakes (Katrina Retallick), Freddy competes with Lawrence to be the first to swindle American soap queen Christine Colgate (Amy Lehpamer) out of a cool $50,000. The incident-packed plot zips along from one hysterical situation to another as the scoundrels trot out a range of outlandish characters to aid their swindling schemes. Black sheep brother Ruprecht is an early highpoint in the comedy, with the sweetly sadistic Dr Emile Shüffhausen also increasing the rate of laugh out loud moments considerably. Jeffrey Lane has neatly adapted director Frank Oz’s 1988 film into a slick piece of musical theatre. David Yazbeck’s instantly catchy score is a clever pastiche of European music with some Broadway ballads and belts thrown in for good measure. In a rare feat for new musicals, the lyrics, also by Yazbeck, are extraordinarily good. A supreme example of the modern musical style, songs are intrexicably embedded into the action, so that songs, dialogue and dance combine to an extremely satisfying cohesive whole. New producers James Anthony and George Youakim have mounted a slick staging, with casting, costumes and orchestra at particularly high standards. Stage adaptations of movies always face the difficulty of an overabundance of scenes, and Michael Hankin’s design manages the task here with an attractive, flexibly coordinated design. Teresa Negroponte’s costumes dress the Riviera elite in delicious gelato pastels, with splashes of sumptuous jewel tones for extra glamour. Director Roger Hodgman displays his reliably deft touch with musical comedy, further enhancing the terrific results previously achieved in The Production Company’s 2009 staging (which also featured Hetherington and Lehpamer). The well-established working relationship between Hodgman and choreographer Dana Jolly shows in the way dance is seamlessly integrated into both the storytelling and the progression of scenes. Music director Guy Simpson has assembled an excellent 18-piece orchestra that significantly adds to the quality of proceedings. Chorus harmonies are notably lush and full. 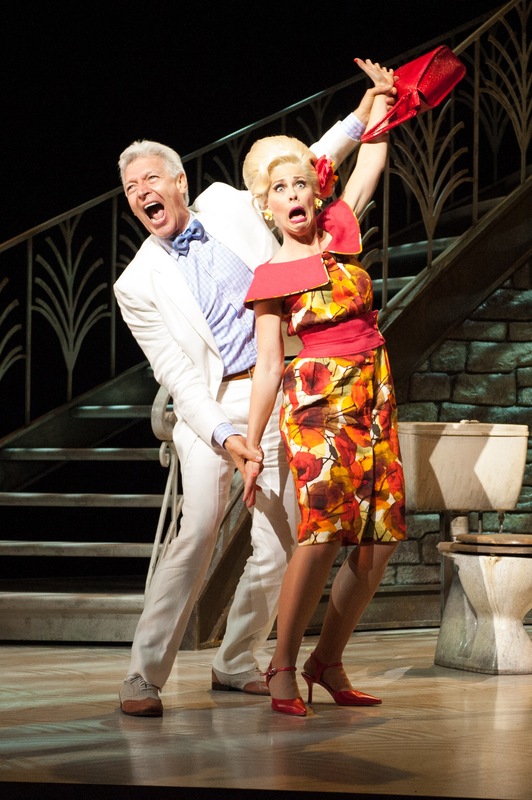 To say that Tony Sheldon makes a welcome return to the Australian stage would be something of a gross understatement. Having been the toast of the West End and Broadway as Bernadette, Queen of Priscilla, Sheldon shines in a role that seems custom-written for him. 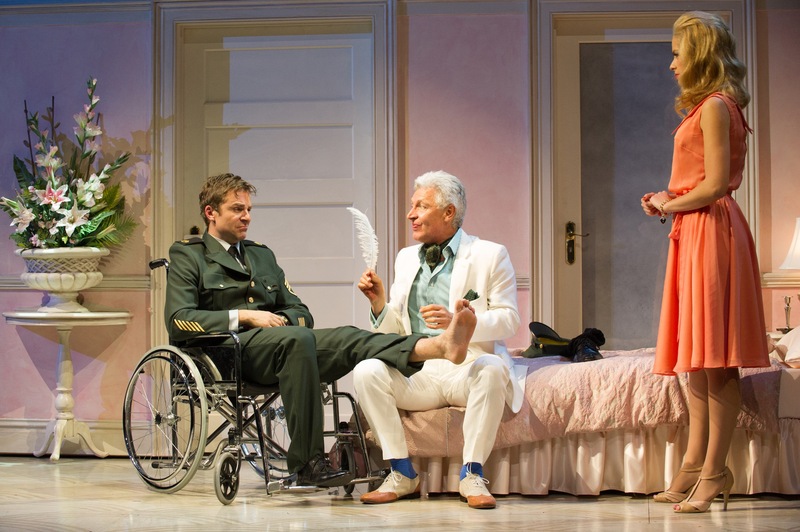 Sheldon effortlessly commands the stage as silver fox Lawrence, captivating the audience with that ever present twinkle in his eye that allows us all to feel intimately included in the comedy. Matt Hetherington gives a masterclass in the power of understated, authentic comedy, resisting every possibility to mug or go over the top. Back in the role that won him the 2009 Green Room Award, Hetherington’s singing and acting are in peak form. He is a joy to watch. Powerhouse music theatre actress Amy Lehpamer is superb as clumsy, softhearted Christine. Inexplicably not yet a household name in Australia, Lehpamer yet again demonstrates her magnetic stage presence, stellar acting ability and thrilling vocal power. While her stunning looks could simply brand her a knockout beauty, Lehpamer’s true stage gift is her ability to give a vulnerable and endearing performance. 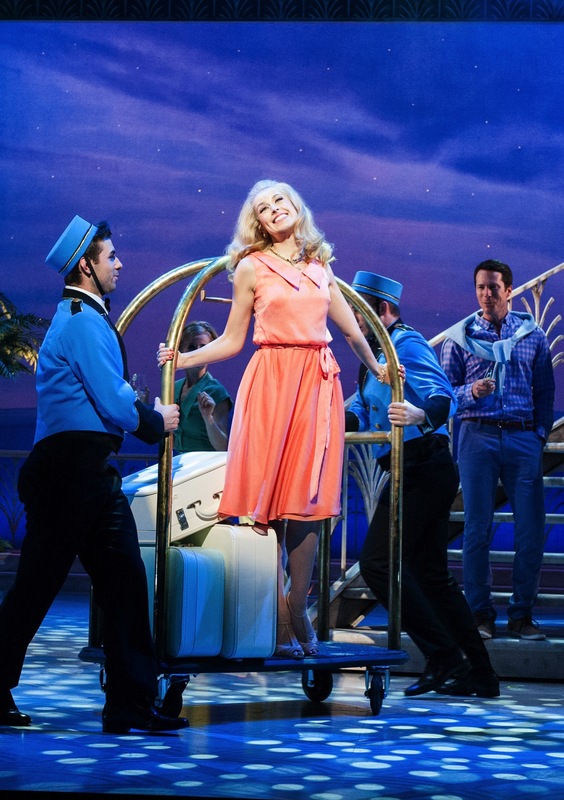 From the moment Christine appears, halfway through act one, energy and interest noticeably lift, driving the show to the climaxes and twists of act two’s conclusion. As a team, Sheldon, Hetherington and Lehpamer enjoy wonderful chemistry, each achieving the distinction of bringing a human element to characters that could so easily be played as madcap caricatures. The trio could be transplanted straight onto a Broadway stage in a heartbeat. Anne Wood again demonstrates her inestimable worth, displaying her impeccable comic timing as lusty society dame Eunice. A master of the less-is-more performance, Wood successfully conveys the simmering passions bubbling beneath Eunice’s immaculately groomed exterior. 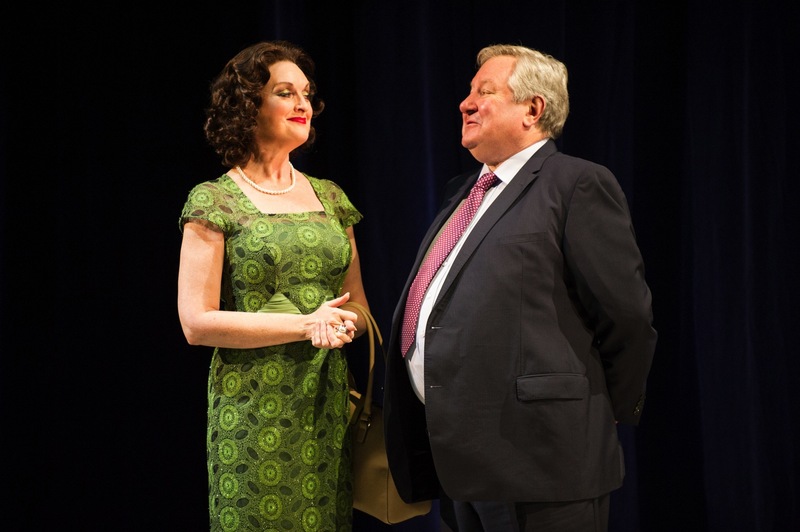 Katrina Retallick lights up the stage as shrill, bossy bigot Jolene, creating a lasting impression despite only appearing in two scenes in act one. John Wood is, unfortunately, out of his depth as bighearted police chief Andre, having great difficulty with his French accent, and his singing, and giving Anne Wood nothing to work with in their “romantic” scenes. 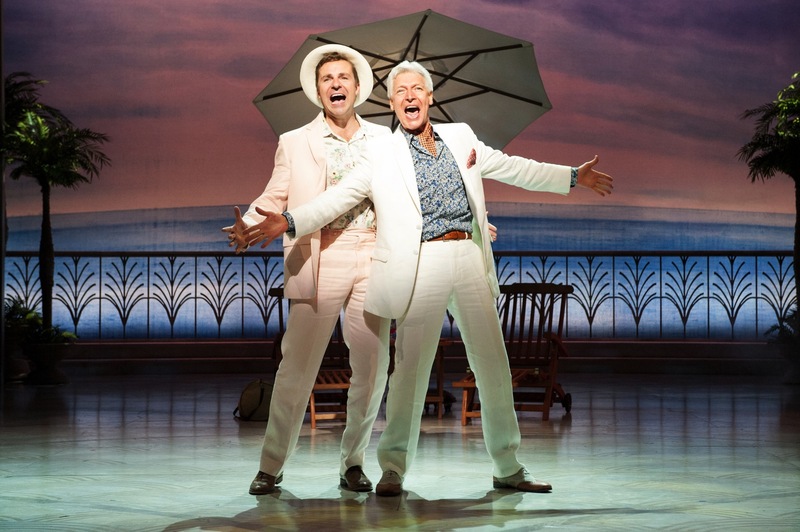 Given the flood of return seasons headed to our stages, Dirty Rotten Scoundrels is the type of original Broadway hit that should be celebrated and embraced. It is sure to be loved by music theatre aficionados and general theatregoers alike. 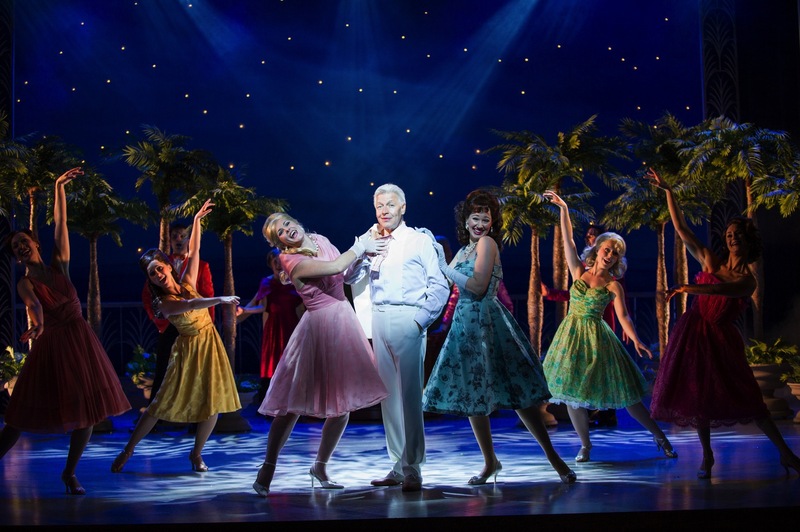 Dirty Rotten Scoundrels plays at Theatre Royal, Sydney until 8 December 2013. 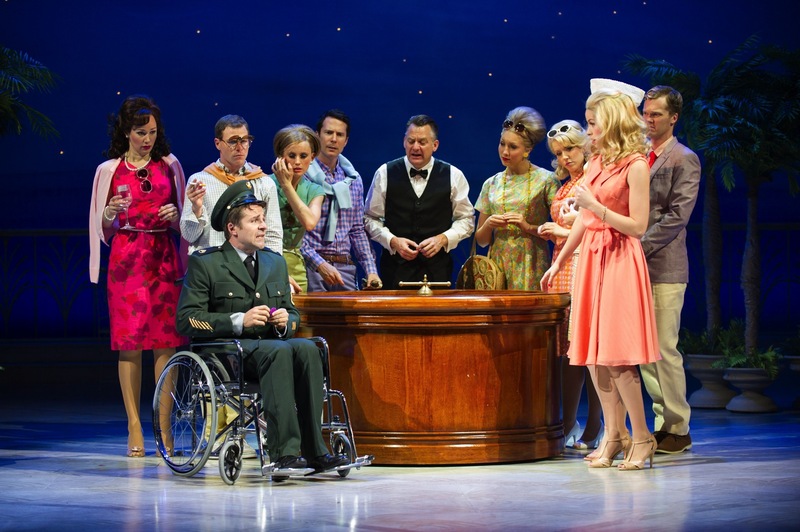 The West End premiere of Dirty Rotten Scoundrels is set to open at London’s Savoy Theatre in Spring 2014. 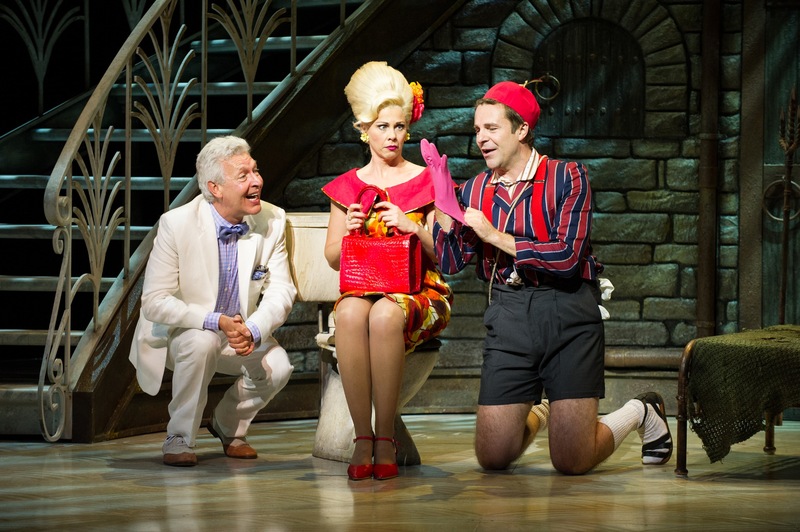 Isn’t this such a fantastic show – and this cast do the material justice as well! Some very clever casting. Everyone should go and see it!